Welcome to the Lostine Presbyterian Church. 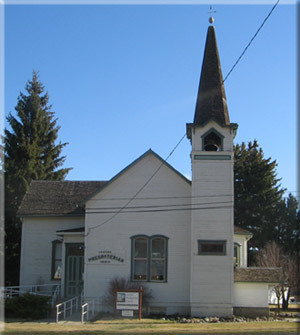 For over a hundred years, families from Wallowa County have been gathering here to worship, praise, and to lend support to the community in the Lord's name. Please feel free to look around and find out more about our little church. If you like, you can join us any Sunday at 11:00 AM, or just listen for the bell. Sermons are posted to the LostinePC YouTube Channel and you can catch up with Pastor Steve on his blog, Dancing our Faith.